Item # 309921 Stash Points: 3,095 (?) This is the number of points you get in The Zumiez Stash for purchasing this item. Stash points are redeemable for exclusive rewards only available to Zumiez Stash members. To redeem your points check out the rewards catalog on thestash.zumiez.com. 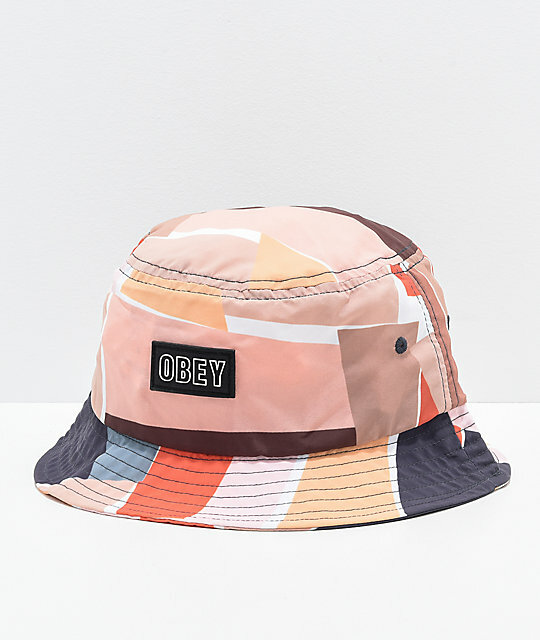 Pick up a fun and fresh new look this summer in the Sherman Bucket Hat from Obey. Coming in a multicolored geometric print, this unstructured bucket hat features a floppy brim and is complete with a PU Obey logo patch at the front crown for a hint of brand love. Sherman Bucket Hat from Obey. PU Obey logo patch on front crown.